Dr. Boparai has 6 years of experience in the field of Veterinary medicine. He graduated from Punjab Agricultural University; after receiving is Doctorate and license he started practicing in Las Vegas, Nevada. 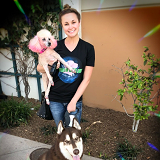 He moved to California three years ago, and worked as a Veterinarian for Banfield for two and a half years before founding Alleve Animal Hospital in Claremont in 2010. Dr. Boparai is a member in good standing with the California Veterinary Medical Association and the American Veterinary Medical Association. In his spare time he likes to hike and play volleyball. Nancy has been with Alleve Animal Hospital since January of 2016. She obtained her Associate Degree in Veterinary Technology from Mt. San Antonio College in 2016. Nancy has 2 chihuahuas, Coco and Tiny, 3 parakeets, a hamster, and a betta fish. In her free time, she likes to go to Six Flags with her kids, cuddle with her fur babies, and binge watch Netflix series. 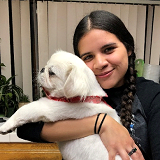 Kimberly has been with Alleve Animal Hospital since May of 2017. She obtained her Associate Degree in Veterinary Technology from Mt. San Antonio College in 2016. Outside of work, Kimberly enjoys Country line dancing, baking, playing games, and attending musicals with her family. Kimberly and her husband also love attending dog events and taking their dogs Charlie and Sally to the beach. 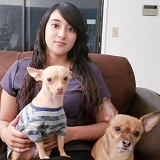 Yessenia has been with Alleve Animal Hospital since September of 2018. She is currently in school for an Associate's Degree in Veterinary Technology at Carrington College, and will be graduating June of 2019. She has one dog, Ringo. When she not at school or work, she enjoys going to see new movies, spending time with her boyfriend and his family, or taking trips to Disneyland.